Very pleasant and helpful staff, clean, secure, easy to navigate... very positive experience! I was greeted with smiles, and was well satisfied by the customer services provided.To keep it short , I was overwhelmed. Thank you . Just now starting to move in I am a new tenent. Good value and helpful staff. It is my first time using a storage unit. Everyone was really helpful with the whole process from booking it to showing up and actually getting the unit. The facility itself is decent, wouldpvw to see a bit more surveillance and staff presence around the property but all and all happy so far! Fast and efficient. Nice people. I recommend it. Not bad at all. Good price. I really appreciate the customer service. The facility is clean, there is parking for unloading, there are movable carts, and a small store for other extras that I needed and found helpful. I really appreciate the customer service too. It took no time for us to move my son furniture in. Easy access, safe and very helpful people. 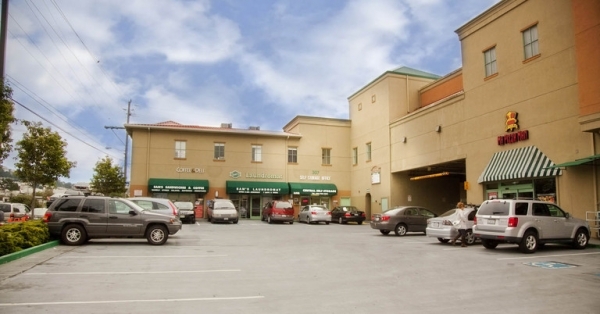 The staff is very nice, the facility is clean and very close to our location. 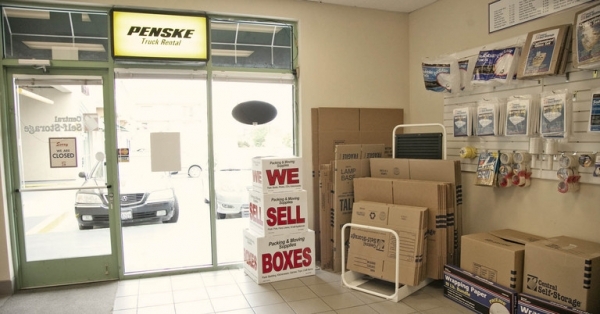 Although we didn't need any supplies, they have a large selection of boxes and packing materials. I would recommend this place to others with short-term storage needs. Quick, easy, affordable and centrally located. Alvarado made my registration process easy, quick, and pain free. 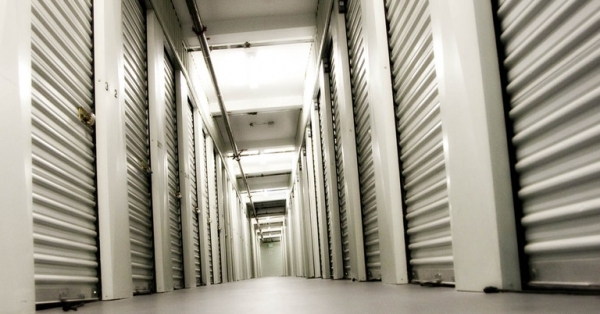 Using Sparefoot made finding Central Storage in Daly City a breeze. I got an excellent deal and it's very close to the in-law unit I'm moving out of. Thanks for making such a difficult move a little easier! staff helped me to make a smooth move in. Good customer service but not very accessible, not very clean and there are no carts every time I go. 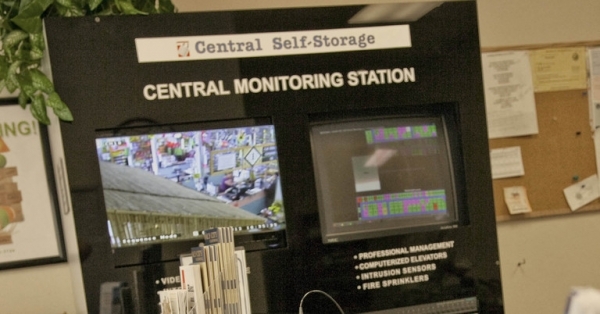 The people at Central Storage are really amazing and helpful! I had an easy time moving in with the help two carts. The space was clean with easy access. The staff is wonderfully kind and helpful. The lady who helped me was very kind and provided detailed information to make my move smooth. Facility is clean and no hidden fees or cost. Arvin, the facility manager is wonderful to work with. The facility is clean, the price seemed fair and this facility met my needs. Would recommend it. Arvin, the facility manager is great to work with. This facility is very close and convenient for our needs. Its clean and appears to be well run for the past 10 years. I recommend Arvin, the facility manager and the facility itself. And the package lady on the front desk was really polite. Place is very safe and secure. Clean premises. Very easy parking and access. Very polite and pleasant, clean and secure. The only thing that I riding like is that it says you're going to pay this much and it ends up being 20 or 30 bucks more, not much of a biggie, but still bothers me. Other than that, the place is really, really good so far. I really liked Marsh for the front desk, very pleasant lady. Key-code access for extended hours, very tall storage heights. The guy was really helpful and I appreciate the value of the unit. arvin was very helpful and knowledgeable about the whole storing process. thank you, Arvin! Clean facility & great customer service! Although parking can be a challenge, the storage facility is clean and the office staff is helpful, courteous, and friendly. Quite great location like that the police are near by. Great storage close to SFSU! This is so convenient to SFSU and is easy to get in and out of quickly. They have handcart available which made my move super easy! This is so convenient to SFSU, and the place is clean and easy to get in and out of. Hand carts are provided making my move super easy! The assistant manager was very friendly and helpful. She took the time to make the whole experience very smooth and easy. The facility was very clean, as well as the unit we were assigned. My only suggestion would be to have more carts/ flat beds available -we had to wait for a tenant to be done in order to load our stuff. Close to school (SFSU) and easy to get to! location is great. near lots of other else one may need to do. Good customer service. Arvin is great. The AAA offer is misleading because it does not confirm that one will get what is being offered on the site. I would contact the facility for first to confirm that they will be honoring what is being offered. Nice storage facility, clean and conveniently located, and they gave me a great deal on pricing. Would use this facility again. Best rental experience I have had so far renting a unit. Customer service was awesome and the manager was incredibly friendly and helpful. Cheaper units then most storage: however, be aware that customer service is slim, as are open office hours. Requires 30 notice to close contract. My armchair ended up with mild on it from leaky roof. Daly City storage was a concur r location from SF... I was able to use autopay and when I forgot the access code, there was a kiosk that was able to text or email it to me! I would definitely recommend this place! Good short-term storage for your "stuff"
I used a medium-sized storage bay for about 1/2 a year. Anything longer and you have to start wondering if it's cheaper to sell the current stuff and re-buy when you need it. 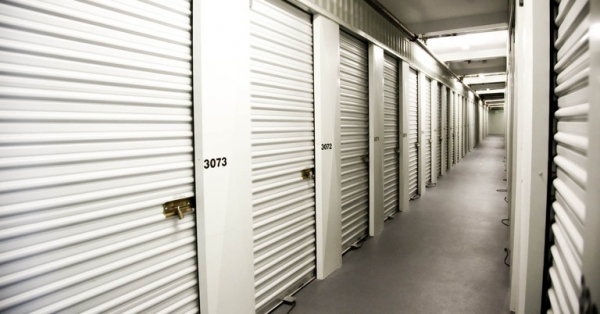 The storage facility was reasonably priced, conveniently located, easy to access, clean, and well-lit. I would use it again for my short-term storage needs. As we came in we asked to see a bigger unit. The staff was friendly and helpful. They showed us the facility and explained procedures. However when I tried to pay and showed the reservation they tried telling me that they were not going to honor the Triple A discount (first month free) because it was only for smaller units they no longer had available. They said I didn't have a reservation and that what I had done online was just a place holder. At first they said they would wave the admin fee to make up for it, but that I would have to pay for the first month the same. After discussing with them "false advertisement" and it being an error on their end and not mine. They were eventually willing to honor what I had originally requested. In the future they need to make sure that any advertisements or promotions are up to date with their office staff. They said it was an error on spare foot and apologized for it. At the end we received the first month free and were happily on our way. It's northern CA. Everything is pricey. The manager of the facility was the key to securing my business. Great customer service. They made what could have been a very stressful experience stress free. Paper work and move in went quick and smooth and pricing was very good. Arvin was a pleasure to work with. Arvin was very helpful and patient, as we arrived to the office five minutes before closing time. The facility was very clean, and seems to be very secure. Good experience overall. storage size was good for my need with good price. The best storage place I have been to! I went to this storage place to store things because I am moving into my own place. The lady at the front desk was so nice when I walked in and answered all questions I had. She showed me my storage space, told me where I could park, showed me the carts that I could use, and helped me with my security code for the elevator. Agent in the office was really accomodating and friendly, open to help. after registering @ kiosk we were given access code - didn't work. tried every 20 minutes for over an hr, tried secondary code from customer service. CS left voicemails w/all 3 emergency contacts and didn't hear back. overall this delayed our moving significantly and we had to get a hotel room so that we could drop off our stuff in the AM! folks @ desk waived our next month. but the thought that a whole trip could be derailed bc of a computer error (for instance, we keep our camping gear in there!) is disconcerting. I reserved my space online and drove down on a Sunday at 11:30 am to check in to the space. The Internet website said Sunday office hours were 10-2 pm. when I got to Central Storage in Daly City the office was closed/locked! I think that is a bit of false advertising. I called the number on my online reservation receipt and was able to speak with someone, nice woman whose name began with a V. she walked me through the whole process at the kiosk....I didn't know about the monthly insurance fee...you all should state that in your advertising in large print. I understood about the $20 one time administration fee, but not about the surprise monthly insurance fee. Anyway, the computer at the kiosk gave me a password that was too long! then the nice lady at your call center gave me a new temporary password. I hung up with her and tried to code in the elevator to check out my unit, the code didn't work, but another tenant was coming out of the elevator, so I rode it up to my unit. 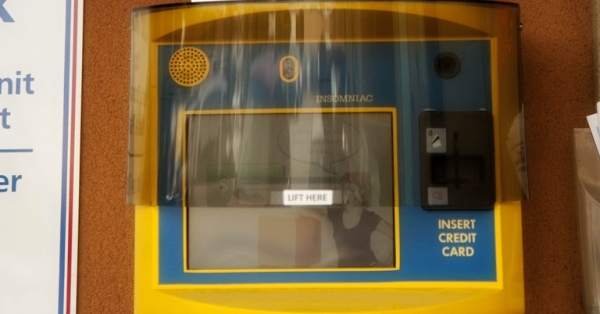 Once I found my unit, I was really upset because there was already a small lock on it! I called the service center again and asked the same woman what to do. She said she would call the manager...who lives on site! 10 minutes later he was there, and told me they put locks (the managers locks) on empty storage units so no one goes in them. he took the lock off with his key I checked out the unit and it was fine, I went down to the office with this manager to get a new access code to use the elevator and to buy a new heavy duty lock. Once inside the managers office, the security alarm went off!!! I was stuck in there for 3 minutes with the blaring alarm harming my ears while the young manager frantically tried to turn off the alarm system. finally after talking with the alarm company for 3 minutes and many tries, he was finally able to turn off the alarm. Dazed and barely able to hear I paid $14.99 for my lock and went to lock my locker and contact my movers that they could indeed drive my items over. It was great customer service, easy access to my unit, great security, large storage space I was only surprised by the additional cost of insuring the facility as this seemed like it should have been added into the monthly fee already. It seems odd to have to pay for the facility's insurance, when I am a customer. I would just present it a different way maybe, as of course you want to be insured. Really a good experience ! I went and asked to see an available unit & liked it and am now a leasee of a unit at central ! The customer service is great ! Thank you central ! 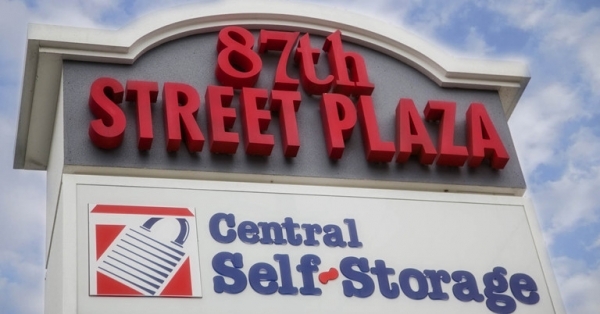 I'm storing my daughter's stuff over the summer and Central Storage is a very convenient distance to the campus. The on-site person was friendly and very helpful. The unit was nice and clean. First time I've used them. Excellent sigh up and tour with Arvin. I am a college student and I was looking for affordable storage for the summer. 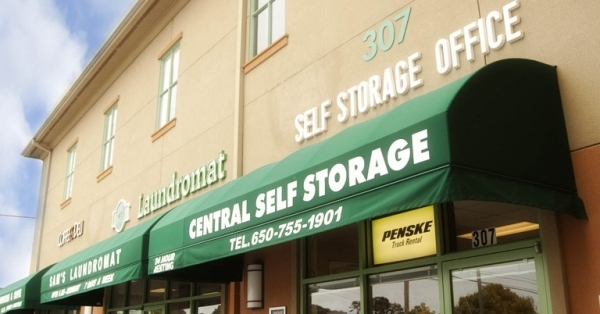 Not only was Central Self-Storage affordable, but the staff was very helpful and friendly and I know my stuff will be safe and protected. The first month's free & pay monthly benefits were a plus too! The manager was amazing! Great Customer service! They could use a few more carts.